International partners and representatives of Naftogaz Ukrainy, Ukrtransgaz and Mahistralni Gazoprovody Ukrayiny (MGU, Trunk Pipelines of Ukraine) on November 29 in Brussels approved a common action plan on the next steps of unbundling, according to a statement of the European Commission made after a meeting of Vice President of the European Commission in charge of the Energy Union Maros Sefcovic with Ukrainian Foreign Minister Pavlo Klimkin on December 5. 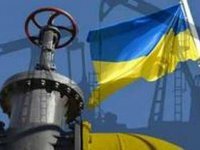 "Based on the agreed course of action, Naftogaz has committed to develop by the end of January 2019, in cooperation with MGU, a necessary contractual framework for the establishment of a certified transmission system operator in line with the Ukrainian legislation and the Third Energy Package," the European Commission said. According to the report, the legal framework should be implemented in the early months of 2019. This will also require close involvement of the Cabinet of Ministers to ensure full unbundling by 1 January 2020. The Commission recalled that it convened a meeting of all stakeholders supporting reforms of the Ukrainian gas market on November 29 following an October joint letter by the European Commission, the U.S. State Department, the Energy Community Secretariat, the World Bank and the EBRD highlighting the urgency of unbundling. According to the statement, Sefcovic has welcomed Minister Klimkin's strong commitment to the unbundling of the gas transmission operation in Ukraine. An independent and trusted gas transmission system operator is a cornerstone of the future transparent and efficient gas market in Ukraine and the best guarantee for market players to engage in a sustainable gas transit after 2019. Sefcovic has also welcomed that achieving a decisive progress on unbundling in the coming months is a mutually agreed goal of the European Commission, Ukraine's government, Naftogaz and of the international donors' community. "I am hopeful that this shared objective and agreement between the Ukrainian side and the key stakeholders is a game-changer. It gives a new dynamic to the process and it will allow for smooth preparations to establish a new transmission system operator in Ukraine by January 2020," he said. "In this respect, I appreciate a constructive cooperation of Naftogaz which is essential so that all necessary steps in the unbundling process are timely and efficiently implemented," he said. The Commission stands ready to assist in this process in the coming weeks and throughout 2019, as this is also a crucial element of the trilateral gas talks, Sefcovic said. "Their successful outcome, namely a continued, long-term transit of gas through Ukraine to the EU in a reliable and commercially viable way is of utmost importance for the EU's energy security," he said.